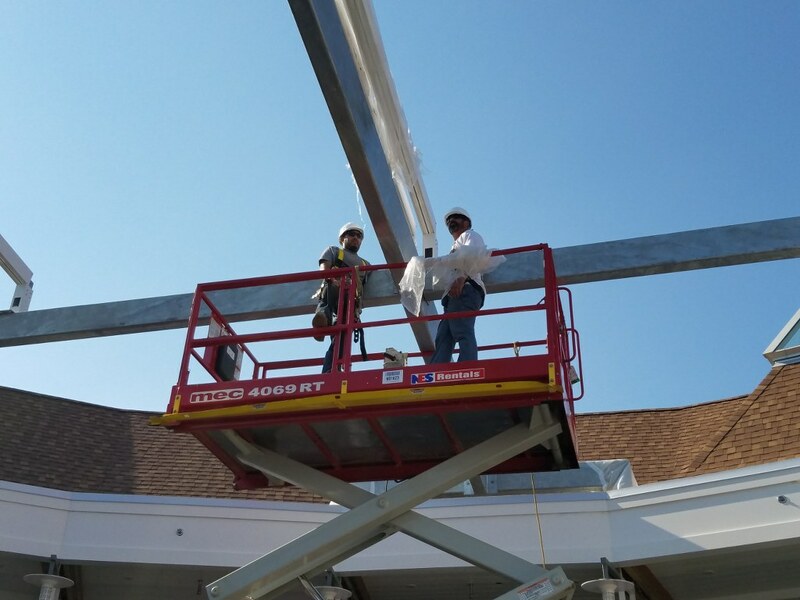 Home » Awnings» Phase 2 At The Tokeneke Beach and Tennis club in Darien CT Is Underway! Phase 2 has begun at The Tokeneke Beach club in Darien CT. This phase consists of installing 2 Corradi B-Space Pergotendas. The pergotendas were placed side by side to cover a 60 by 30 foot area and will be used as a retractable roof that covers the majority of the club house’s courtyard. They are held a staggering 49 feet in the air by 12×6 & 18×6 pieces of structural steel. ← High End Condos In New Canaan Get An Architectural Facelift!